Why, in a digital age, should nonprofits continue to mail fundraising appeals to donors and prospective donors? It's a paradox recognized by the Data & Marketing Association, which serves both commercial and nonprofit organizations. 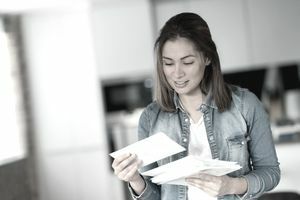 The DMA's research shows that response rates continue to blossom with direct mail, especially for prospective customers. That means that direct mail remains one of the best tools for nonprofits to attract new donors and retain current ones. Direct mail is a critical part of any nonprofit’s marketing and promotion plans. Some of the most successful organizations use direct mail in addition to their digital campaigns and, ideally, to directly complement their other campaigns. Getting your name, brand, and contact info into the hands of your potential supporters (and donors) is essential. If you can physically do that, all the better. However, you’ll need someone to help you and, luckily, there are plenty of vendors out there. When looking for the best direct mailing services for your nonprofit, how do you choose the best one for you? As with many marketing channels, direct mail requires some insight. It’s not as simple as gathering a list of contact names and stamping letters. When you trust a vendor with your contact list, make sure that you’re getting high-quality and strategic services in return. Experience. Get to know a provider’s history as a company and as employees in the industry. Problem-solving. What challenges have they faced and how they addressed them. Make sure your vendor can handle any hurdles specific to your organization. Longevity. How many nonprofits have they worked for and for how long? Some direct mailing services companies aren’t prepared to handle massive campaigns. Find out whether a potential direct mail partner is capable of handling your organization’s needs, both as a single client and as part of their broader portfolio. However, don’t just consider capacity based on what your needs are right now. As your organization and donor network grow, you’ll need to be prepared to expand your marketing services accordingly. Think of your organization’s five-year plan. Does your potential vendor have the capacity to handle that along the way? Always ask for testimonials or review a vendor’s website and online reviews. Ask about current and past clients’ experiences with the company and their satisfaction with the services they were (or are) provided. The most up-to-date technology or advanced analytics won’t matter if a company isn’t producing the results their clients expected. Find out if your potential service provider has worked with similar organizations, whether by size, industry, geography, or other metrics. Requesting this type of information also reveals their communication style and level of transparency. If the company doesn’t have testimonials or reviews, it may be a sign that they’re too new to support your needs. Like all marketing channels, nothing stays the same for too long. You should make sure that the vendor you partner can regularly and consistently analyze your direct mail campaign’s performance. It takes time to find the sweet spot for sharing your organization’s message. Plus, a high-performing campaign may lag over time. Talk to your potential service provider about how they can test and adjust the performance of your campaign. Also, ask how they plan to make sure it continues hitting performance benchmarks over time. Spending too much is one of the biggest direct mailer mistakes a nonprofit can make. Ask for custom quotes from vendors you’re interested in hiring and make sure you know about all added fees. For instance, is postage included in their rates? If not, how will you pay for it? If the design of direct mailers is something you’re looking to outsource, consider that in your budget as well. What does the direct mail company charge for design, revisions, and printing? Hiring a new vendor can always put a strain on the budget, more so when you don’t know the full cost. However, when it comes to marketing, direct mailer costs can end up being a good investment. According to McCarthy & King Marketing, Inc., the average cost of direct mail can range from $0.50 to $2-$3 per mailer, based on the type and quality. Of course, all of that depends on the company you choose and what kind of direct mail you send. You want to get the best value for your dollar. Selecting a vendor from those highly rated in the industry can help. Since 1979, Mal Warwick Donordigital has provided direct mail and telephone engagement programs to nonprofit organizations. Over the years, they’ve added mobile and digital fundraising and engagement for nonprofits of all sizes. They work with clients to provide full creative, production, reporting, and data management services. Based in New Hampshire, Spectrum provides a variety of marketing services for a range of companies and nonprofit organizations. Their direct mailing services for nonprofit organizations include personalized letter mailers to multichannel campaigns. Serving more than 3,000 nonprofits across the country, Salsa Labs provides direct mailing services in addition to donor management and tracking software. Their dashboard includes a built-in word processor for building fundraising and solicitation letters. Salsa Labs can also help you integrate direct mail campaigns with your email messaging. From copywriting to list management and from mailing services to data analysis, HSP Direct is a full-service direct fundraising agency. Founded in 2001, HSP now mails more than 70 million pieces of mail a year. Well known in political circles, this agency also develops targeted campaigns for nonprofits. Based in Chicago, Meyer Partners is a full-service nonprofit communications agency. They strive to create an integrated storytelling approach to their clients’ marketing. They don’t want to send the same message out via email, social, phone, and direct mail. Instead, their team uses data-driven analytics to create a comprehensive communication plan that nurtures long-term relationships with donors. Founded in 1994, Douglas Shaw & Associates now has offices in both Chicago and Seattle. This agency provides direct mail, digital, broadcast, and data analysis services to ministries and nonprofit organizations. There are countless direct mailer options out there, so do your homework. However, direct mail can be an excellent initiative for your nonprofit, so invest the time. Using real mail to connect with donors and supporters has been a mainstay of nonprofit marketing for decades. Even with the changing digital landscape we see today, direct mail can be a powerful tool for your organization.